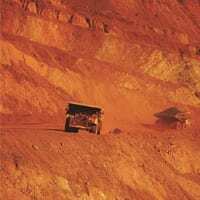 BHP Western Australian Iron Ore (WAIO) will begin advertising roles “with more lifestyle flexibility” as it seeks to increase the residential proportion of its workforce in the Pilbara, Western Australia. Jobs at BHP’s Eastern Ridge and Jimblebar operations will be advertised with a drive-in, drive-out (DIDO) option starting from April 2019. 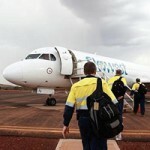 Until now, both sites have traditionally been fly-in, fly-out (FIFO) operations. 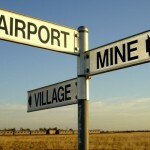 Mining Area C, South Flank and Yandi are also expected to transition towards including DIDO options later this year. BHP WAIO asset president Edgar Basto said the move to increase DIDO and residential employment in the Pilbara is aligned with the company’s focus on creating a more inclusive and diverse workforce and providing employees with a better work-life balance. “I strongly believe in creating a workforce that is reflective of the communities in which we operate,” Basto said. “Enabling more flexibility for our employees to transition to a residential lifestyle makes sense for us and it makes sense for the continued economic prosperity of the communities in which we operate. Basto added these changes are not about setting targets for an achieved proportion of residential workforce. “We want this to be organic and voluntary transition aimed at improving flexibility and work-life balance for our current and future employees,” he added. Jimblebar is the first fully autonomous haulage site that BHP Iron Ore established (in November 2017). It was also one of the sites, along with Yandi, Mining Area C, Mt Whaleback and Eastern Ridge, to receive 20 autonomous drills in mid-2017.